StoneImpressions Blog: End of year "Sample Sale"
End of year "Sample Sale"
You can contact you local StoneImpressions Dealer to purchase one. We’ll admit it - we sometimes make mistakes and print a perfectly good mural or accent on the wrong stone or in the wrong size. Over time, we have built up a small stock of these murals, accents and listellos. These products are not defective in any way – our production team just made the wrong item. This stock also includes tiles that were made to photograph for out catalogs. All of these decorative tiles are sitting on our shelves just waiting for a home. They ship out right away instead of our normal two week lead time. 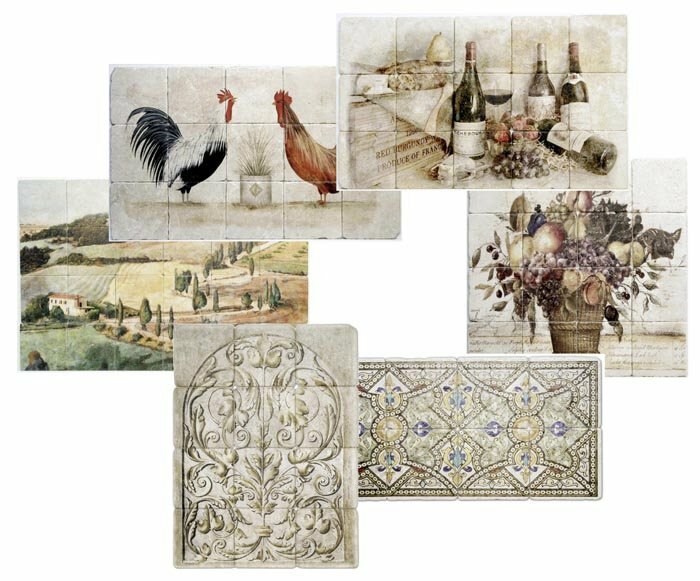 It is a great option if you have a last minute need for some decorative tiles. StoneImpressions creates stunning motifs, murals, flooring, accents and listellos on natural stone. You can have our designs in any size and on any stone. Choose from a growing library of images or use our design services to create a completely custom look.